Keeping your home clutter free is a constant challenge and if you’re downsizing it can become overwhelming. While the easiest thing to do is to just throw away all your old un-needed junk, there’s a good chance someone would be willing to pay you for your junk. Craigslist is great but it’s not for everyone, all the texts, emails and phone calls can become overwhelming and often potential buyers decide they want to haggle at the last minute. It’s just such a big hassle. Luckily, you have options! There are many other ways to sell off your unwanted stuff that are much easier and often will give you a better payoff. Trove is like a virtual consignment shop, best for selling furniture. After signing up, answering a few question about the item your listing and uploading a photo you’re all set. You can even let potential buyers know if you’re willing to negotiate. If you’re willing to negotiate, you will receive notifications for all incoming offers and you decide which offer to accept based on price, any mutual connections to the buyer, and the buyer’s reviews. 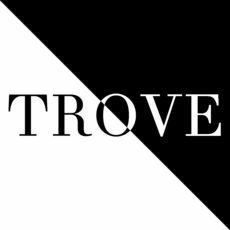 The downside to Trove is that like Craigslist, an in-person meeting and inspection will be required to complete the transaction and receive payment. Also, if you choose to accept credit or debit cards for payment Trove keeps 10%. Otherwise listing is free so it might be better to asl for cash, check, or Paypal. 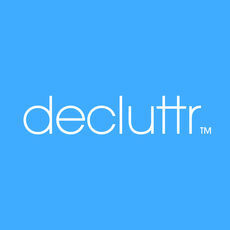 Decluttr is best for selling all you old, un-needed, and unwanted tech items. Download the free Decluttr app, scan the items bar code with your phones camera and you’ll get a instant selling price. If your item doesn’t sell for the first price it lists, you get it back for free. The only downside is you have to pack up your item(s) and mail them off to Decluttr but they provide a free shipping label. 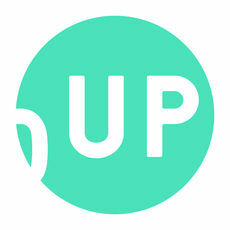 ThredUp is like a consignment store for your old clothes and accessories. ThredUp will send you a giant, polka-dot bag that you’ll use to send back clothing, shoes, handbags, accessories, etc. Shipping from any Post office or FedEx location will be covered for free. Once processed, you’ll receive payment or credit for any accepted items. There are a couple of downsides to ThredUp. First, at this time they are only accepting women’s and children’s clothing. Second, any items that aren’t accepted will be donated so you will not get them back but do you really want them back? Facebook is great for selling anything locally. Check Facebook for a group that trades in your area, or start one if there isn’t one already. In the area around the CRES office we have several groups that were created just to sell and swap stuff. Especially popular items are kids clothes and toys. You will typically get more per item than at a consignment store, but it may take a while to sell your stuff. Try and time your decluttering to when people are looking to buy the items you are selling. You won’t have as much success selling your snow gear in April after the snowboarding season has wrapped up, but if you wait until early winter you might get multiple offers on your kids outgrown snow pants.